Fits all brands of spray bodies except Toro! 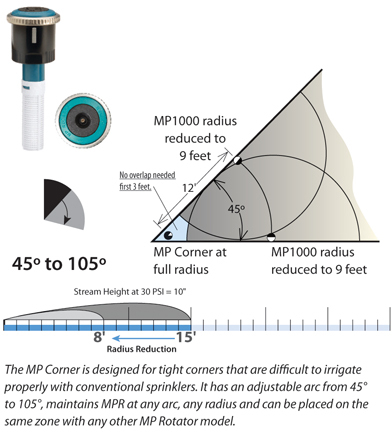 The MP Corner is an 8-15' (2.5-4.6 meter)sprinkler designed for tight corners that are difficult to irrigate properly with conventional sprinklers. 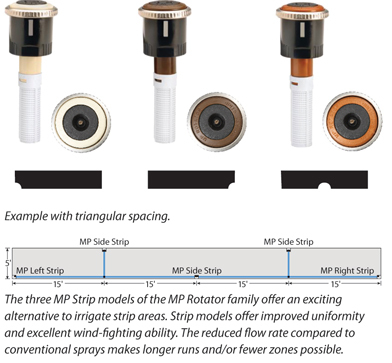 It has an adjustable arc from 45° to 105°, maintains MPR at any arc, any radius and can be placed on the same zone with any other MP Rotator model. 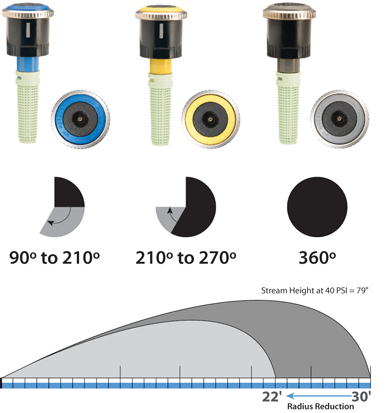 The MP Left & Right Strips irrigate an area 5’ x 15’ (1.5-4.6 m) at 30 PSI (2.1 bar) at full radius. 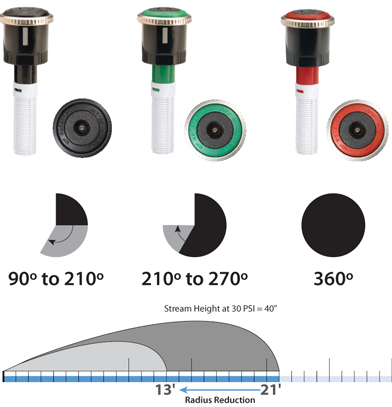 Flow rate at rectangular spacing = .19 GPM (.72 LPM). When the radius is reduced the pattern is 4’ x 12’ (1.2-3.7 m). 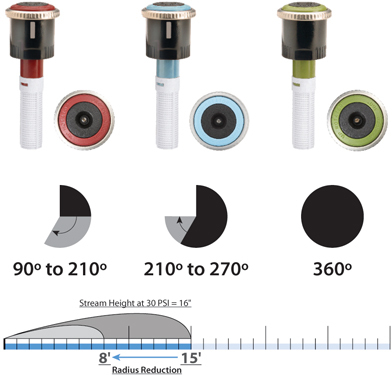 Flow rate at rectangular spacing = .14 GPM (.53 LPM).